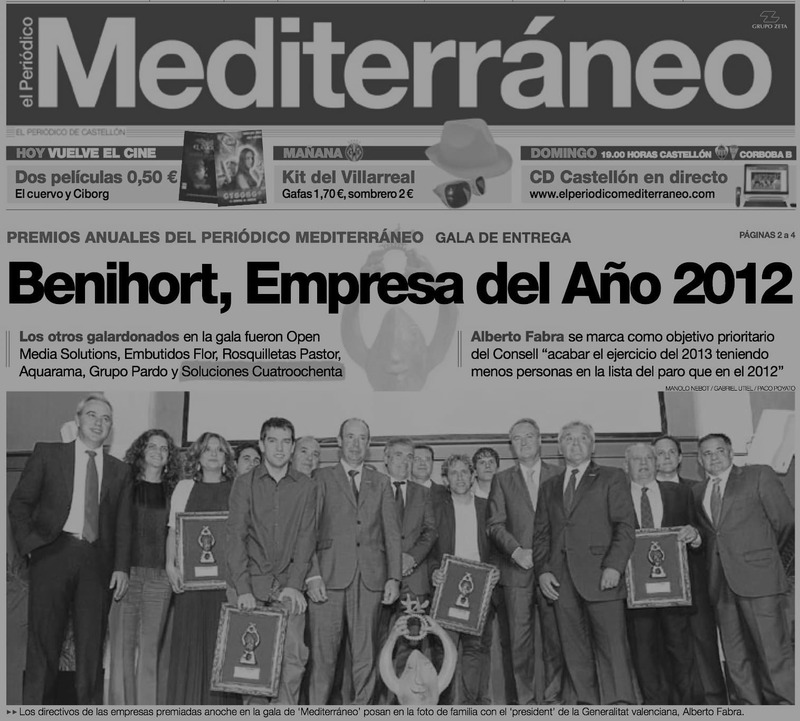 The sixteenth edition of the Company of the Year Awards hold by Mediterraneo Newspaper awarded Soluciones Cuatroochenta the “Best Young Company of Castellón 2012”. The founding partners of the firm, Sergio Aguado and Alfredo R. Cebrián, received one of the 7 awards at the gala dinner hold in the Auditori & Palau de Congressos. To us this means recognition for all the team, with an average age of 31 years old, and a charge of encouragement to continue working on the development of Smartphone and tablet applications for our clients. In less than two years of trajectory we have been awarded with 4 prizes from various public and private entities. We are grateful and motivated. We also want to congratulate the other winners: Open Media Solutions (R&D&i), Flor Butcher’s (Initiative-Expansion), Rosquilletas Pastor (Quality), Aquarama (Environment-Social Commintment), Pardo Group (Human Resources) and especially to the Company of the Year 2012, the Agricultural Cooperative Benihort of Benicarló. The jury of the Company of the Year Awards was composed of senior representatives from academia, business and finance, as well as public institutions.